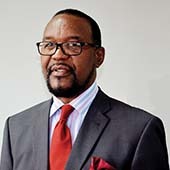 Mr Ben Chidyaonga is a chartered architect and the Managing Partner of The ABC Design Architects , an architectural firm he established in 1996. Prior to setting up his practice, he worked in the civil service at the Ministry of Education where he served under the Projects Implementation Unit as Project Architect. Later he served as Deputy Project Manager responsible for overall management and implementation of building projects funded by the World Bank and the African Development Fund. Between 1988 and 1992, he worked in the United Kingdom with a London based firm called Integrated Design Architects as its Project Architect. 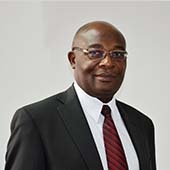 Mr Chidyaonga served as a Trustee of Press Trust from 2002 to 2016. He is also a member of several professional bodies including The Royal Institute of British Architects, Malawi Institute of Architects, and Board of Architects and Quantity Surveyors in Malawi. Mr Chidyaonga also sits on various boards and currently chairs the board of the National Construction Industry Council of Malawi. Mrs Nuka is a chartered accountant with extensive experience in financial management and accounting. She is a life coach and founder of EWN Consulting & Training, a consulting and coaching firm that specializes in providing consulting, training and coaching services for corporations and individuals on financial management, leadership and principles of success and transformation. Prior to setting up EWN Consulting & Training, she worked as Head of Finance and Administration and Director of Finance for the following organizations: Christian Health Association of Malawi, Malawi Revenue Authority, National Seed Company of Malawi and PSI/Malawi. She also worked as an auditor with Price Waterhouse. 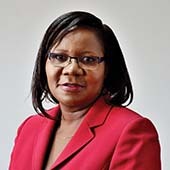 She has over the years served on several boards including Mandala Limited, NBS Bank, Electricity Supply Corporation, Malawi Energy Regulatory Authority and Pakachere Trust. She currently sits on the boards of United General Insurance (UGI), and Francis Pilau (Mtengowanthenga) Hospital. 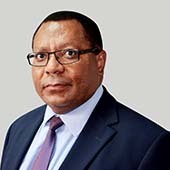 Mr Mhango is the Chief Executive Officer of Press Trust. He joined the Trust in 2004 as Head of Operations and was promoted to his current position on 1st April, 2014. Prior to that, he worked as Operations Manager of Indefund Limited. He is an economist with extensive knowledge and experience in financial services and general operations. By virtue of his position with Press Trust, he sits on the boards of several companies in which the Trust has invested. In his own right, he is currently a member of the Economics Association of Malawi (ECAMA) where he serves as Treasurer General. He is also a Rotarian, being a member of Rotary Club of Bwaila in Lilongwe. Mr Ngalamila is the Executive Secretary of Press Trust. He joined Press Trust on 1st September 2003 and has served the Trust in various capacities within the operations department. As Head of Operations he was responsible for managing the strategic interests of the Trust. He was appointed Executive Secretary on 1st November 2017. He holds a Bachelor of Accountancy (B.Acc.) degree with distinction from the University of Malawi. He is also a Fellow of the Association of Chartered Certified Accountants (FCCA). He is a duly registered chartered accountant (CA) with the Malawi Accountants Board and a member of the Institute of Chartered Accountants in Malawi (ICAM). He is also a chartered company secretary with the Institute of Chartered Secretaries and Administrators (ICSA). 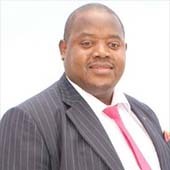 Mr Ngalamila has over the years served as director on the boards of a number of companies and organisations, including Press Agriculture Limited and Continental Holdings Limited (CHL). At CHL, he also serves as Chairman of Continental Asset Management Ltd. He has previously served as a Technical Committee Member (Director) of the joint UNDP/ Press Trust GSB Pro-Poor Revolving Fund.